Ft. an angel, a dedicated teacher, and a nun who attends political rallies. Sister Lourdes (Jodi Sta. Maria) is a newcomer to the convent. She constantly avoids the Mother Superior as she sneaks away to attend political rallies with Sister Remy (Mylene Dizon), a young nun who's suffering from a crisis of faith after her brother's mysterious disappearance. The film explores the story of Gabby (Sid Lucero), a young accountant for a television network who leads an uneventful and boring life. Every single day is the same until he sees a beggar asking for help while on his way to work. He helps the sick woman and after this one act of charity, he starts noticing feathers growing on his back! As the feathers grow into FULL WINGS and complicate his life, he starts to face the reality of being an "angel." Magnifico (Jiro Manio) and his family live undeniably challenging lives. His sister suffers from cerebral palsy, his older brother who studies in Manila just lost his scholarship, and his grandmother has stomach cancer. Magnifico/Pikoy is also failing school and he often hears his parents arguing about money. All this misfortune urges him to think of ways to help his family and with his kind and pure heart, Pikoy eventually helps his family and his townspeople. The first Iflix original movie for the Philippines tells the story of four sorceresses (played by Iza Calzado, Sunshine Dizon, Karylle, and Diana Zubiri) who have successfully banished the evil witch Hellga through the use of the Portalis. Now, the four women have been sent to live in the real world to protect the magic portal— except they are not allowed to use any of their powers. Many years later, they must come together to protect mankind from a great evil that is coming their way. This film tells the inspiring story of a dedicated teacher (Maricel Soriano) who shares her life with everyone she encounters—empowering them to find their purpose and potential, and through her example, find ways to realize their mission in life. 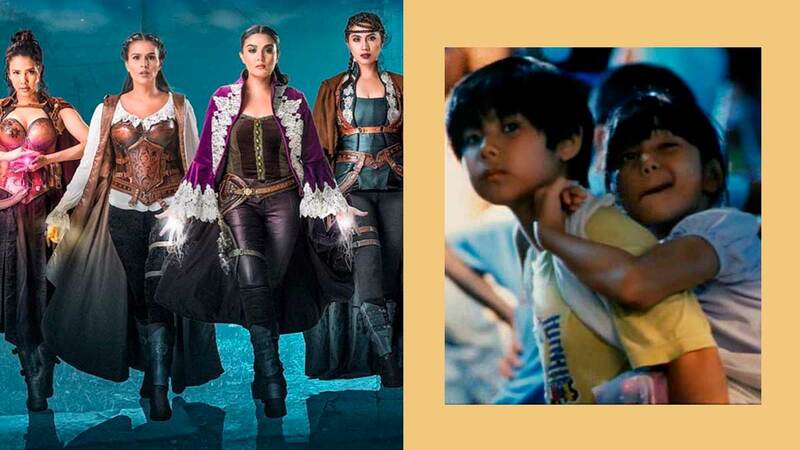 Siblings Danny (Johnny Delgado), Art (Edu Manzano), and Grace (Dina Bonnevie) are leading separate lives—as far away from each other as possible. When their ailing mother Dolores "Loleng" Rosales (Gloria Romero) is slowly wasting away from Alzheimer's disease, the siblings must come together in their family's ancestral home and deal with their differences.